In this paper, an analytical method, the combination of differential transform method (DTM) and Padé approximant, called DTM-Padé, is employed to solve the fluid flow and heat and mass transfer for an incompressible steady laminar MHD stagnation-point flow over a stretching/shrinking sheet in the presence of the heat generation/absorption and chemical reaction effects. This method is applied to give analytical solutions of nonlinear ordinary differential equations with boundary conditions at infinity. Using similarity variables, the governing nonlinear partial differential equations are converted into a system of coupled nonlinear ordinary differential equations. The current DTM-Padé solution demonstrates a very good correlation with those of the fourth-order Runge–Kutta integration numerical technique as well as the previously published study results in the special cases. Effects of controlling parameters, including magnetic parameter, Prandtl number, heat source/sink parameter, Schmidt number, reaction rate parameter, suction/injection parameter, and velocity ratio parameter, are investigated on the dimensionless velocity, temperature and concentration profiles. 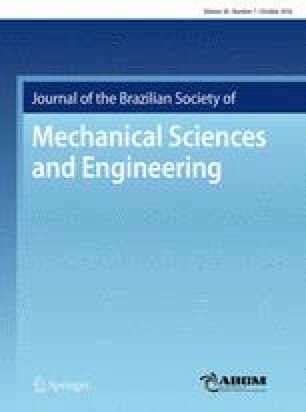 Technical Editor: Marcio S. Carvalho.